These are not short stilts. 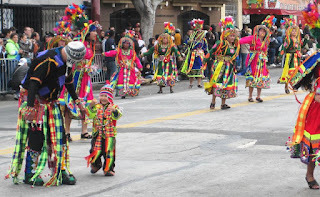 The Mission District is the Spanish section of San Francisco. 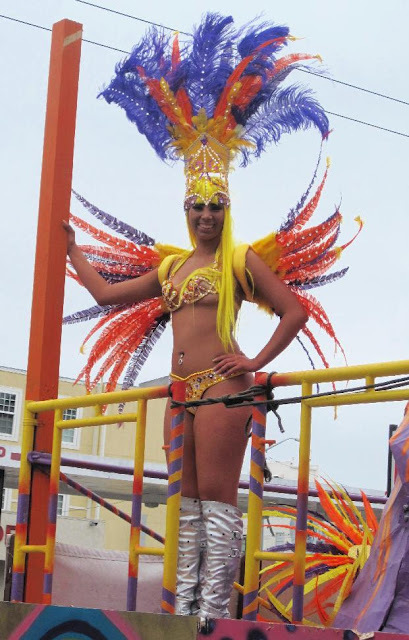 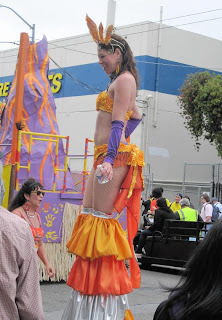 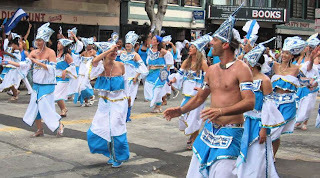 The Carnaval celebrations are organized by the San Francisco Cultural Arts Traditions, a nonprofit dedicated to preserving cultural arts traditions with music, dance, artistry and food. Some other cities celebrate Carnaval on Fat Tuesday, the day before the Lenten fast begins. 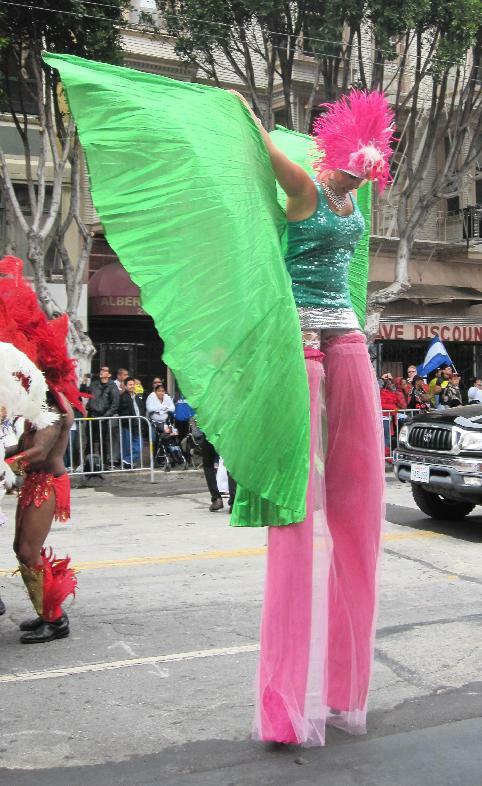 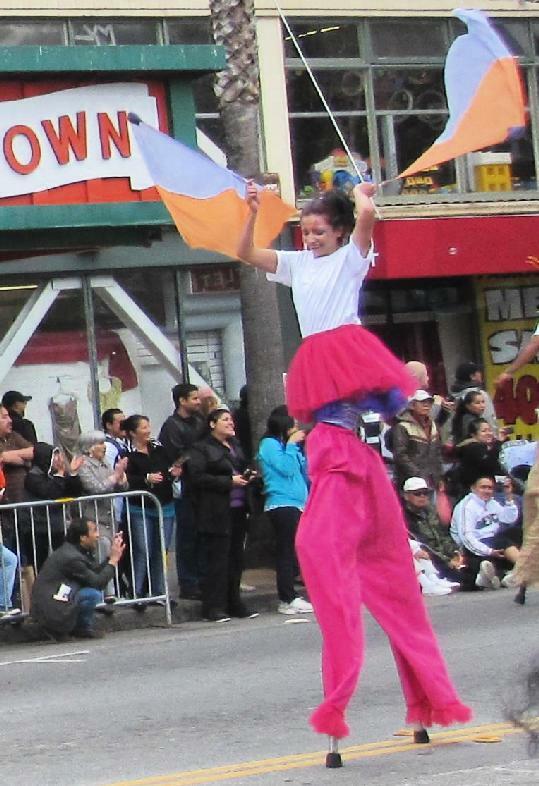 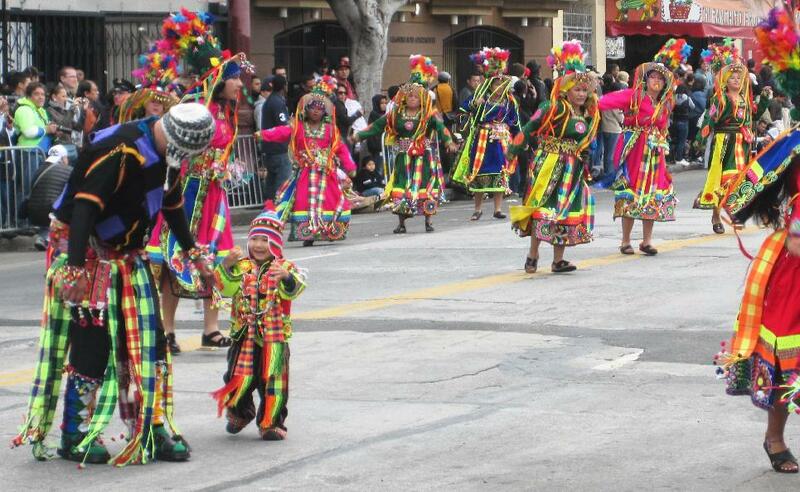 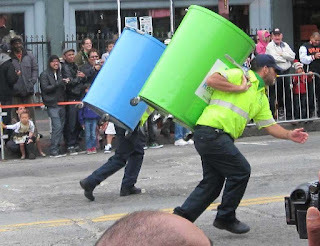 In San Francisco, bowing to the weather, the Carnaval parade is held on the fourth Sunday in May. 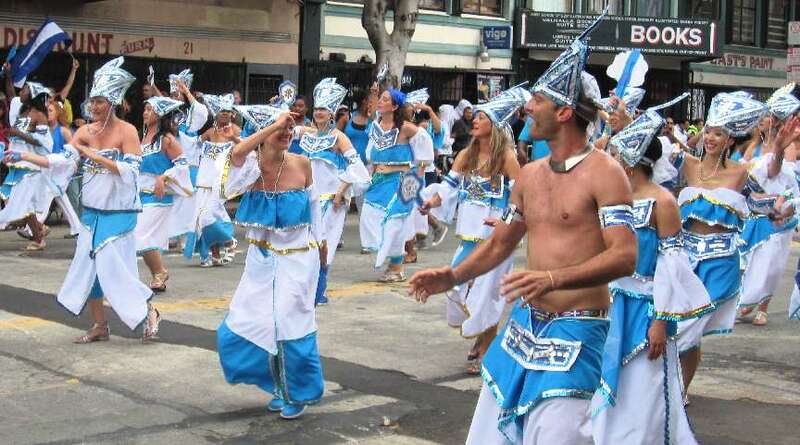 •SF Churches rally: has a second front opened in the war for freedom?